A small teaser from a chat show presents Sonam Kapoor talking about being body-shamed for her weight, height and even complexion. 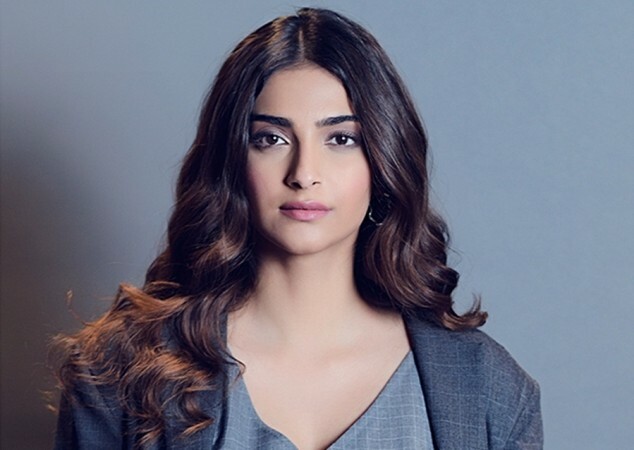 Sonam Kapoor recently appeared on Arbaaz Khan's chat show Quick Heal Pinch, where the actress spoke about being body-shamed on social media during the initial phase of her career. A small teaser from the episode shows Sonam talking about being body-shamed for her weight, height and even complexion. "People would say she has become too thin, too fat, too dark, too tall, who will marry her? It's not correct. I honestly believe that even a hater is a lover (laughs)" she said on the show. Not only Sonam, a lot of actresses have spoken about being body-shamed on social media, but the actresses have now developed the art of either ignoring such trolls or giving them hard-hitting replies. While she not only became one of the most successful Bollywood actresses, she is now married to her beau Anand Ahuja. The teaser video also shows Sonam making an interesting revelation about Kareena Kapoor Khan. When asked if Bebo is on social media, Sonam said that Kareena is present on social media not in her own name, but under a pseudo-name. "I know this for a fact," she added. The show Quick Heal Pinch has witnessed the appearance of some of the top Bollywood stars, who made some really interesting comments and revelations on the show. Actors like Varun Dhawan, Sonakshi Sinha, Kapil Sharma, Karan Johar among others appeared on the show till now. Sonam was last seen in the film Ek Ladki Ko Dekha Toh Aisa Laga that presented her alongside Anil Kapoor. This is the first time, the real-life father-daughter portrayed the same relationship onscreen. In a recent feature to CNN Style, the national award winning actress had also opened up about how she used to feel embarrassed to see her parents romance in front of them. "Anil, an actor, and Sunita, a former model and fashion designer, met in high school, fell in love, and have been happily married for 35 years. When we were young, my brother, sister and I would be embarrassed when they called each other 'baby' and were affectionate in front of us. But they were best friends and partners, supporting one another's goals and working together to raise their family, regardless of what society dictated," she had written in the feature.